Pinterest – the new big thing in social media? 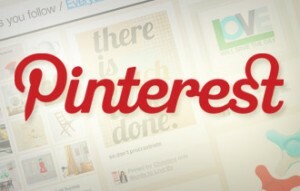 As social media experts, CuCo are excited to see yet another new social media site appear on the scene – Pinterest! Pinterest is a visual social network that organises images by topic and lets you re-share with just one click. Users can create inspirational boards, to which they can ‘pin’ their favourite visuals. Launching back in 2010, unique visitors to the site grew 400% from September to December 2011, and one study has recently shown that Pinterest drives more visitors to third-party websites than Google+, YouTube and LinkedIn. How can it work for businesses? Businesses are able to create their own boards and pin images of their products which can then be linked back to their website, creating more traffic to their website. As long as the images and boards don’t just relate to their own products – they can mix it up by using images of related products in their industry and creating thought-provoking and inspirational boards which are going to attract followers. When something is ‘pinned’ followers can see it and then re-pin, like or comment. Getting people to talk about businesses and their products. If you need any help wit your social media marketing, get in touch with CuCo today on 01202 911959 or email us at hello@cucocreative.co.uk – We’d love to help!